It’s Bunny time!!! 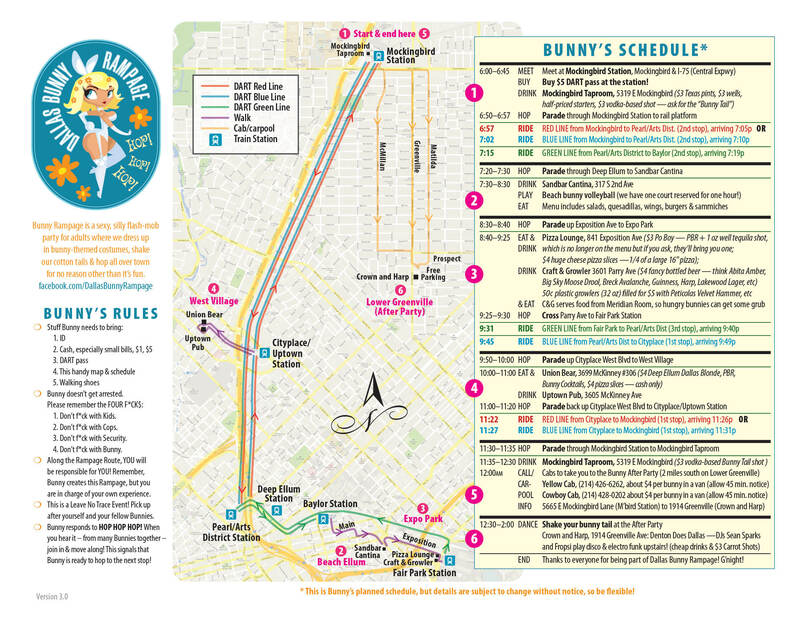 Dallas Bunny Rampage will be March 28, 2013 starting at Mockingbird Taproom. Is this what you’ve been waiting for? Santa recommends you download and print the PDF. Page one has the map, page two has the scarols. In fact, print a few extras to share with your friends. Then download the JPEGs and keep them on your smart phone, just in case. Had a AWESOME time once again at rampage!! And thanks to yall for keeping in Deep Ellum again. Devil Santa thanks you all!! See ya next year.